Want to streamline your work and enhance your productivity when you use TurboCAD? Who wouldn’t?! 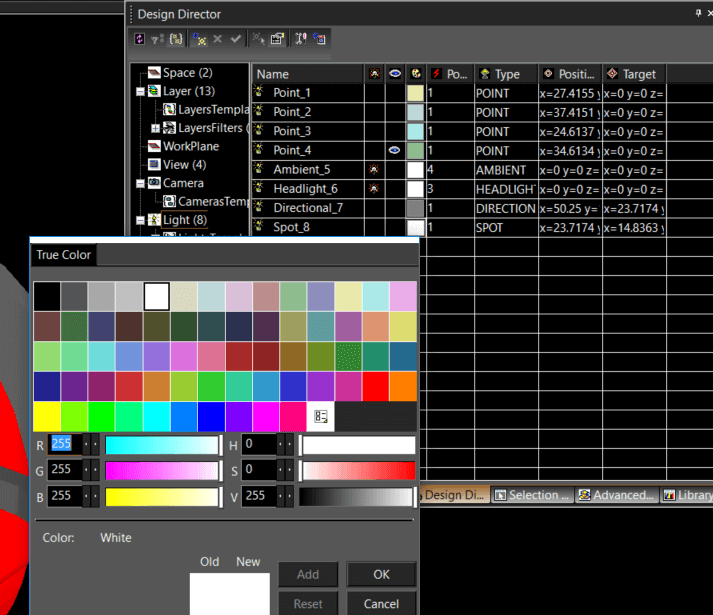 One of the great ways to do this in TurboCAD (Pro Platinum, Expert, Civil, and Deluxe) is to use the Design Director Palette when creating your design. Suitable for both Mechanical and Architectural designs, the Design director includes tools for managing Layers, Work Planes, Views, Cameras, and Lighting. Certainly the most powerful set of tools in the Design Director are those associated with Layers. These include Layer Filters, which allow for quick selection of all layers with multiple selection criterions, including selecting layers by line style, pen width, print style, and more. Layer management also includes Layer Sets, which let you change the visibility of large groups of layers with a single click. Both Layer Sets and Filters can even include layers within externally referenced files, such as a .SKP, .DWG, or another .TCW file. 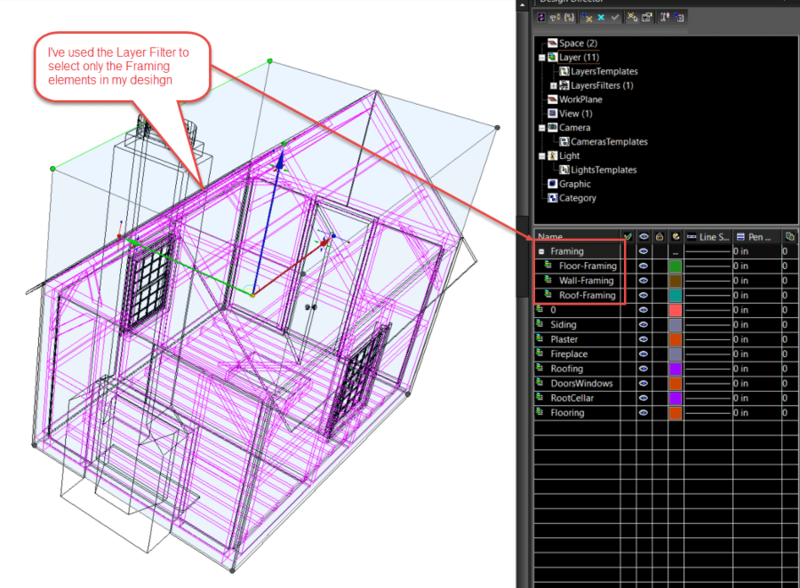 TurboCAD Layers and Layer Filters are AutoCAD compatible and in fact if you are familiar with AutoCAD’s Design Center, the Design Director’s layout and dialogs should be very familiar to you. Layer filters are an efficient way to display just the part of the model you want. For example, if I want to show only the framing in a home design I’ve created, I can incorporate a filter for all of my framing Layers, then use the ‘Select by’ option to highlight only those layers.